Another holiday season brings another gift conundrum – what do you get for the girl who seems to have everything? From her style savvy to attention-grabbing Snapchats, her latest promotion to always knowing the hottest nightspots, she’s a 365-day powerhouse. Let her know you appreciate her with these ideas that think outside of the (gift) box. Nantucket Needlepoint Embroidery Baseball Hat: Winter temps leave her longing for “rosé all day” on summertime Nantucket. Help her channel that island spirit with this 100 percent cotton Nantucket Needlepoint Embroidery Baseball Hat by Harding Lane. All she needs now is a bottle of Chloe Wine Rosé and she’s back at ACK, if only in her dreams. Available at TownPool pop-up store, 899 Boylston Street, $35. Bonus: Get in on a mini-golf game in Town Pool. Chloe Prosecco: There’s no better time to toast friendship than the holidays. 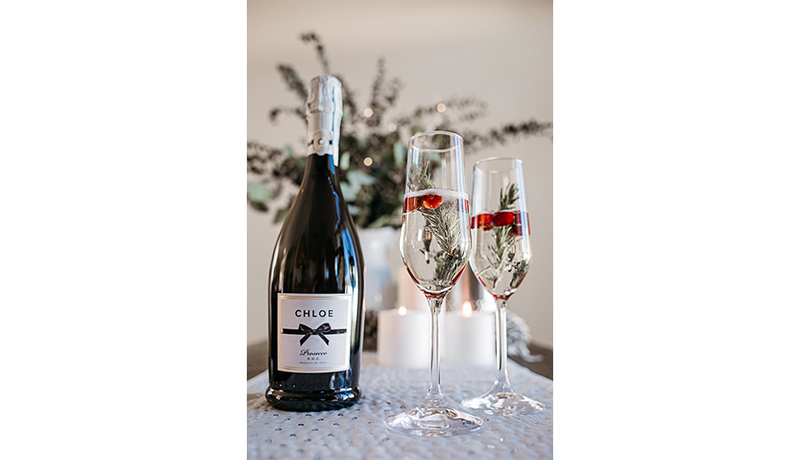 Forgo the typical vino and instead choose this bottle of bubbly from Chloe Wine Collection, bursting with flavorful notes of peach, green apple, citrus, and white flowers. Every sip captures the flavors of 100 percent Glera grapes from roughly 60 acres of vineyards divided among a handful of small growers in Italy. Find a carrier of Chloe prosecco closest to you by using this location finder. Slim Marble Portable Power Charger: No more asking if the restaurant has an iPhone wall charger she can borrow. This credit card-sized power source tucks into even the smallest of trendy clutches and quickly charges most smartphones in three to four hours. It’s sleek and powerful – just like her.